Proactive wellness and proper nutrition drive dietary trends, according to Packaged Facts report. 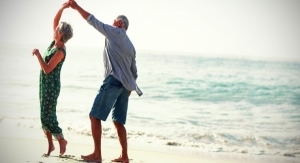 Baby Boomer Health Goals: Can Protein Help Sustain the Golden Years? Fonterra presents dairy protein as a way for Baby Boomers to maintain their weight, muscle mass and mobility as they age. Opportunities abound in this very specific niche market. Baby Boomers are getting older and are beginning to experience some of the aches and pains of aging, such as high blood pressure, high cholesterol and diabetes.